I ask this because Nichiren Shu doesn’t seem to contain the teaching that Nichiren is the True Buddha of our age. I also wonder if the fact that they have so many artifacts from Nichiren may stem from perhaps them being the most traditional. Re: Is Nichiren Shu the most traditional of all the Nichiren sects? Nichiren as true buddha is the position of the Nichiren Shoshu school, shared by related schools such as SGI & maybe others, to different degrees of emphasis. "Traditional" is an interesting perspective- its a long held position which makes it kind of traditional but still different from other schools. Artifacts are spread around, generally in association with the various temples- old, big ones have more etc. The Mandala Workshop books discuss where the known Nichiren gohonzon are located eg which temples have which ones, as well as the dispositions of gohonzon made by various others. There was and perhaps is a lot of copying and purchase of gohonzon, both original and copies. As Narwahl pointed out, Nichiren as honbutsu (Original Buddha) is primarily a teaching associated with Taisekiji, the head temple of Nichiren Shohu. It is also accepted by other groups. The reason I put it this way, identifying the teaching with a particular temple/lineage, is because what we identify as "sects" are actually creatures of modern Japanese law. They are corporations. The real reason these sects were organized was so that the government could regulate them. TBH, its probably more important to consider the lineages. Asking which sect is most traditional misunderstands what the situation is. There are temples with continuous lineages from the time of Nichiren, or shortly after his death, through the present, along with temples affiliated with these main temples, and sub-temples, in all of the sects. (Nichiren Shu and Nichiren Shoshu are not the only Nichiren sects - IIRC there are some 20 or more). What is "traditional" Nichiren Buddhism? People have been arguing about this for 736 years. I'm a Shoshu guy myself, but in terms of who is more traditional, I'd say Shu and Shoshu are both "traditional" in the sense that they both have a long lineage back to Nichiren. There is of course contention over who is "first" and "correct", but they're both about as old as the other. Their traditions themselves may differ, but they are both about as old and therefore both "traditional" in their own rights. Regarding SGI, and this is my opinion and in no way meant to be antagonistic to SGI, but I would not consider that organization to be traditional following the split from Nichiren Shoshu. While similarities certainly remain, fundamental traditional aspects that were formerly shared have been discarded. I'm a new generation Shoshu myself (joined a year ago and had no previous knowledge of Nichiren Buddhism at all), so I tend to view SGI as a completely separate and young entity that has distinguished itself from its "parent" NST. Thanks for pointing out that there are other sects aside from the big names. I tend to forget about those (or haven't learned about them at all... yet). Well, most of them don't exist outside of Japan and a lot of them are even limited to just a few (or maybe even 1 or 2) temples. Thinking of them as lineages is more accurate, I think. Nichiren Shu does have temples associated with the lineages of 5 out of 6 of Nichiren's major disciples (all except for Nichiji). Some temples have even switched affiliation back and forth between Shu and Shoshu over the years. This seems like a subject that needs to be fleshed out a little, especially for those who are going to come along and read this. Most people in the West are going to be familiar with Soka Gakkai, Nichiren Shoshu, and Nichiren Shu. I suppose if you look around online, you might be familiar with Hokke Kempon. There are some others with Nichiren connections but they're pretty minor. We ought to take note that Nichiren Shoshu takes a particularly exclusive stance. Soka Gakkai, being a splinter of Nichiren Shoshu, shares the legacy, though they have moderated their approach to others. Hokke Kempon, which has an outsized presence online in the English web, is another stridently exclusive group that takes special aim at Soka Gakkai and Nichiren Shoshu. These groups give the impression that Nichiren Buddhism is a collection of rabid dogs biting at each other. This is not to say that this sort of vociferous activity is not our tradition. But its not representative of most of what goes on today. But while relations between lineages inside and between official sects run warm and cold, we're all Nichiren Buddhists and the sect/lineage lines are not as rigid as you might think if your only exposure was Shoshu and Soka Gakkai. Some temple lineages are more dedicated to practice. Many, I'm afraid to say, are funerary businesses. TBH, its fine not to have the funerary lineages outside Japan. Maybe I'm out of line to say this, but they're dead weight. Nichiren Shu is a confederation of the first four and part of the Fuji lineage. Nichiji had no lineage, as he left for China in 1295 and was never heard from again. It wasn't even known whether he made it to China, but in 1936, some Japanese tourists happened upon some relics in a remote part of China that were found to belong to Nichiji. He apparently arrived in China in 1298 and founded a temple there and died a few years later. Nitcho, another of the six senior disciples, did not start his own lineage, but rather joined Nikko at Omosu. He was the step-son of Toki Jonin, but had a falling out, left Shimousa and then went to Omosu where his mother came from. Nichiji was originally a disciple of Nikko, had a falling out, but later joined Nikko at Omosu before setting out for China. There's something melancholy about Nichiji. His decision to go to China seemed like some repentance. It includes Nichiji's portrait of Nichiren... in case someone might want to see a picture drawn by someone who knew Nichiren. Also, Chris Holte's page on Nichiji. Unfortunately, links are broken. As for traditional...that can mean a lot of things. I suspect that some people say Nichiren Shu is the most traditional because it’s the least different from other schools of Buddhism, and that it generally doesn’t aggressively proselytize (although even SGI and Shoshu don’t anymore, either). I don’t think I care for that idea, though. It smacks too much of sounding like we need other (non-Nichiren) traditions to validate our practice or something. Since you brought it up, does Nichiren Shu proselytize at all? Propagating the faith and practice is still a big part of Shoshu (wouldn't consider it aggressive though), but I've wondered on occasion about the other groups. In Nichiren Shu, is there encouragement to invite others to the practice? If so, how do you go about sharing with others? I don’t know about Nichiren Shu in Japan, but in the US, NShu temples were more or less Japanese only until about 20-25 years ago, and considering WW2 and the internment camps, they were pretty skiddish about sharing Nichiren Buddhism with non-Japanese Americans. Now, there is some attempt at outreach, but honestly, there needs to be more infrastructure - and by that, I mean there needs to be more dedicated lay practitioners who are willing to take the lead. All that being said, the Nichiren Shu approach today (especially outside of Japan) is one of shoju rather than shakubuku. 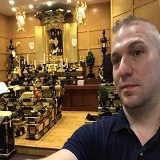 Regarding N.Shu - My impression is that there is some effort at international mission (Nichiren Buddhist International Center NBIC) but its not a well formed idea or given adequate resources. Being head of NBIC seems to be more or less an honorary appointment among the leadership in Japan, and other than a few well meaning words, its not taken very seriously. I'd also suggest that the N.Shu leadership is more or less consistent with the broader contemporary Japanese outlook toward the world - gone is the post war generation that set out to be leaders in the world; Japanese just aren't internationally outgoing anymore; they've reverted to insularity. The news letters NBIC put out are pretty good, though. In my observation, which I admit is limited in scope, it seems lineage is still the stronger force, even abroad. This is not a knock - just an observation - Japanese Buddhism in general is marked by complacency; its about funerary rites and upkeep of old buildings, passively attending to the needs of parishioners who have been stuck with the temple by family ties, generation after generation. Nichiren Shu, and most Nichiren temples I've visited, are no exceptions, except when they are exceptions, which I have found is rare. We should count ourselves fortunate that being outside of that environment, our eyes aren't jaded and clouded by deeply ingrained tradition and Nichiren's Spirit still has a jarring effect when we encounter it. If tradition means taking the teeth out of Rissho Ankoku Ron, screw tradition. After all those years there are steps being given to putting NS to a more broad and global audience. The first Non-Japanese Shami (Guilherme Yotatsu) here in Brazil will be ordained by 2020, or two years. They have plans to build a temple for the general audience. In the US and, the Nakayama lineage is doing a good job to reach to everyone in the person of Kanjin Cederman Sensei and Kanse Capon. This is the visionary idea of Tsukamoto Shonin. His idea is to create worldwide sanghas headed not only by monastics but also by lay leadership! One such sangha was formed recently in Paraguay. I have the prospect to do the same here in Northern Brazil. If tradition means taking the teeth out of Rissho Ankoku Ron, screw tradition. I agree with you, but I don't think tradition means that at all. I've met Kanjin Shonin a few times, and I've been working with him as my reidan (Nichiren Shu divination practice) teacher for a while now. He's a great guy and is doing a lot to help spread Nichiren Shu. Please please please please tell me a little bit about this. tradition is a fungible word... it can mean almost anything. It can be a crow bar to advance regressive ideas. It can be a call for renewal. Etc. etc. etc. What I was getting at is, they're kind of complacent in Japan, and if that's tradition, no thanks. The stuff that NY shared about Brazil and what I observe from afar that Kanjin and Kanse are doing seems about right - people have to make their traditions. We're not in Japan. This is a whole new ball game.